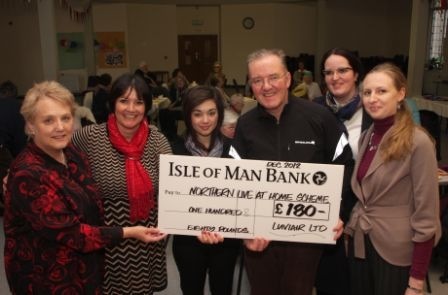 Luviair Helicopter Management Supports IOM 'Live At Home' Scheme. As people get older or need extra care, a big priority for many of them is to stay in their own home. Apart from enjoying their independence, folks like be in familiar surroundings with friends and neighbours they have known for years. My colleagues at Luviair Helicopter Management support the IOM ‘Live At Home’ scheme by each putting £1 in the pot when we have a ‘dress down Friday’. At the end of the year Luviair matches everybody’s contribution and we make a donation to the ‘Live At Home’ organisers. In 2012 Luviair donated £180. This year we’re aiming for a little more. Please click here if you want to get involved in the Live At Home scheme.